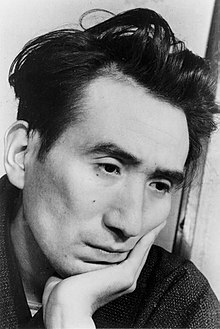 Osamu Dazai (June 19, 1909 – June 13, 1948), was a Japanese author. Dazai was born Tsushima Shūji in Aomori, northeastern Japan. He is best known for his novels The Setting Sun (1947) and No Longer Human (1948). Dazai wrote a number of novels about the meaning of life based on his own private life. Dazai remains the most popular author among Japanese college students. Wikimedia Commons has media related to Osamu Dazai. This page was last changed on 20 March 2018, at 12:03.